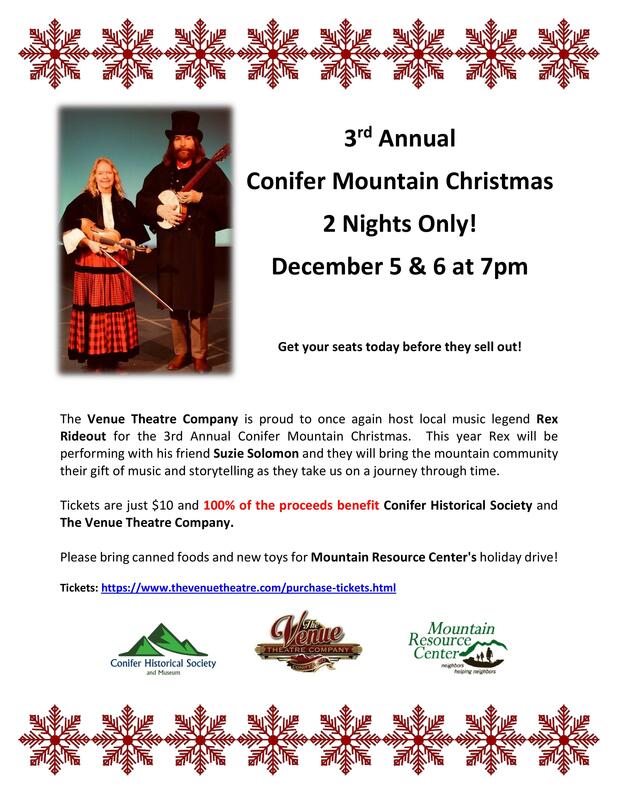 The Venue Theatre Company is proud to once again host local music legend Rex Rideout for the 3rd Annual Conifer Mountain Christmas. This year Rex will be performing with his friend Suzie Solomon and they will bring the mountain community their gift of music and storytelling as they take us on a journey through time. Tickets are just $10 and 100% of the proceeds benefit Conifer Historical Society and The Venue Theatre Company. Please bring canned foods and new toys for Mountain Resource Center’s holiday drive!